Today I shall discuss a series that has just started (and what a start--in a good way!) along with a series that has concluded (and what an end--in a bad way!). Read on for my thoughts! I will admit that I'm someone who gives DC plenty of grief for some of their actions. It may be rude, but dear God they often are doing horribly stupid maneuvers that bed the question, "What are they thinking?" That said, if DC's upcoming plan to make their comics have more unique voices has the first three issues of "Gotham by Midnight" as an example of this idea, then DC might just hit a few out of the park--because this series is just plain fantastic only a few issues in. It's a striking beginning to each issue and much of the thanks for this series being so startling belongs to Ben Templesmith and his ability to create artwork that is extremely disturbing yet gorgeous at once. 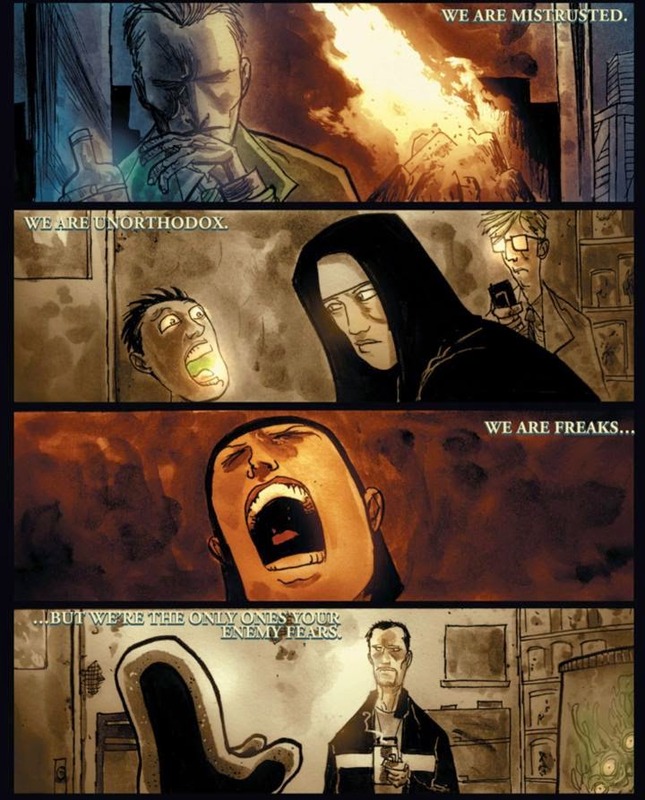 I've seen/heard people say this reminds them a bit of Templesmith's work with Warren Ellis on "Fell" with its twisted tales of detectives, and I can see where that thought comes from but would argue this comic is a unique beast all itself. A fascinating mixture of police procedural and the supernatural, "Gotham by Midnight" is a delicious blend of artwork and writing (Ray Fawkes provides some solid characterization and plotting). 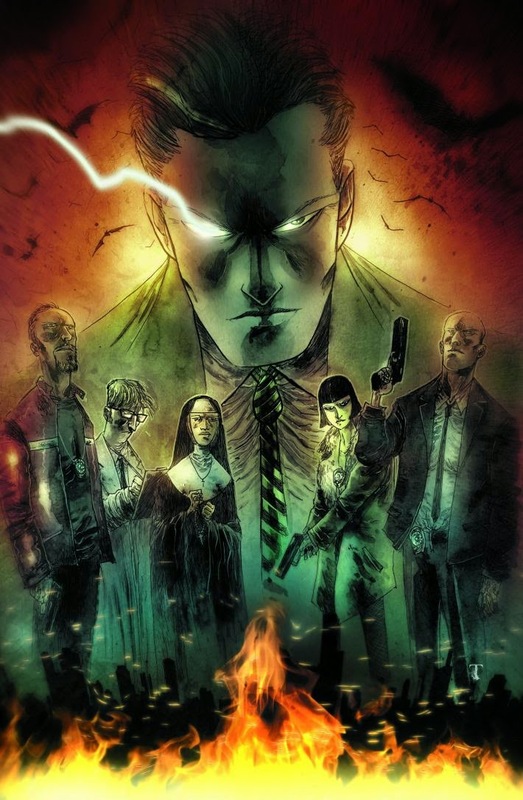 Despite being set in-continuity with the rest of the DC this really reads as something being allowed to exist in its own pocket-Universe of awesome besides some nods to the DC-Universe at-large (Batman, Detective Corrigan and his connection to The Spectre), and it benefits from it. Should the series continue to be as impressive as its start, this will be something fondly looked back upon in the future. Finishing Out With a Whimper Through "All-New X-Factor"
I've discussed on countless occasions the great deal of affection I have for the run of "X-Factor" that preceded this short run of the "All-New" version (seriously, it was one of my #fourcomics). The 18th and 19th issues are wonderful too, with Peter David's usual trademark wit being spouted off by everyone between some cool adventures. It wasn't a surprise I found myself greatly enjoying this series up through the 18th issue,and then the 19th issue...not actually the 20th issue. 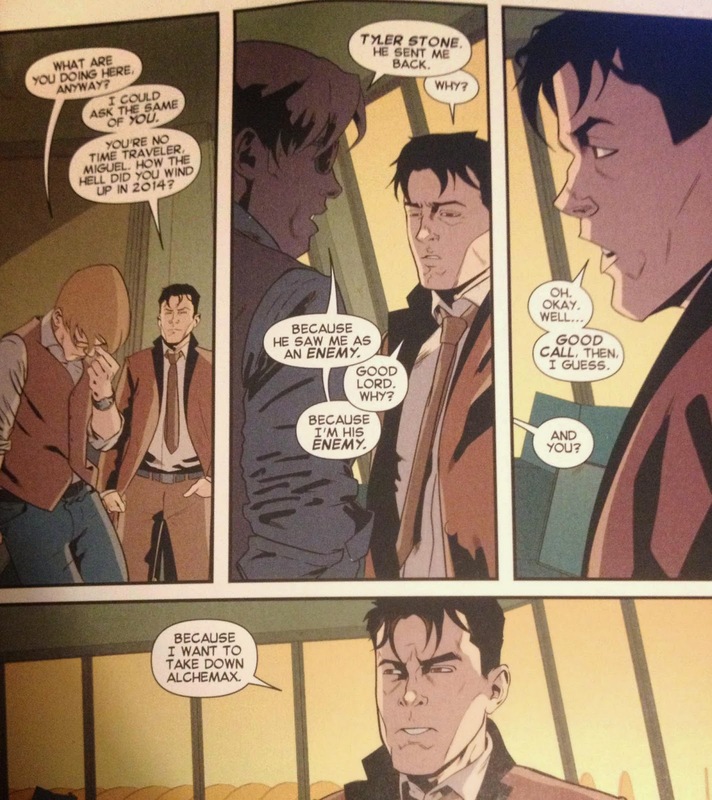 Why did I dislike the 20th issue, however? 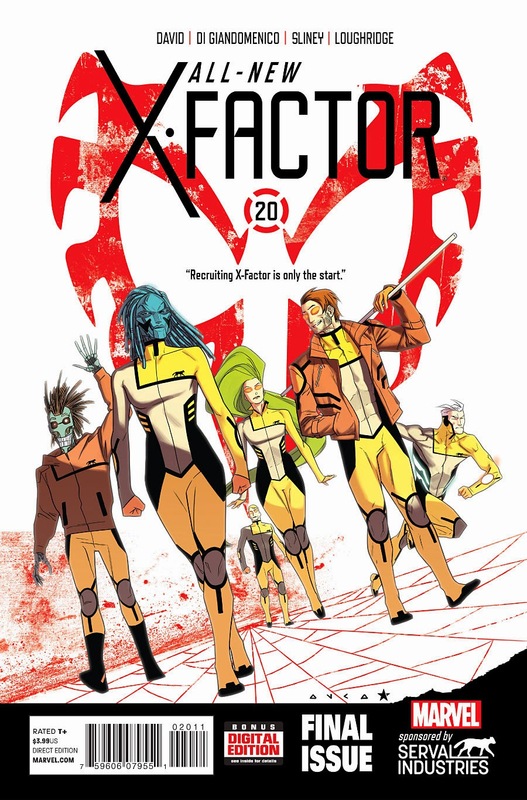 Well, to put it as politely I as I can, the first nineteen issues of "All-New X-Factor" made a nice bed for this series to go to sleep in with its final issue, and that final 20th issue goes and takes a dump in that bed in the most spectacular fashion imaginable. Yeah, I have no idea what's being discussed here. This series, which has had absolutely seemingly nothing to do with the Spider-Man 2099 comic that David also has written recently, suddenly has the main character of that series pop-up in this, and reveal that the CEO who our mutants have been working for is actually someone from the 2099 comic who wants to take down some corporation I've never heard of (because I don't read any 2099 comics) run by some other man I am unaware of (because, again, I've never read the books in this series that up until this issue had nothing to do with it, I thought). I'm not the only one who finds this last-minute story change annoying, and its really saddening considering how much I liked everything beforehand. The first nineteen issues of this series were fun, well-written, exciting, and other words that mean, "Good." Then, the final issue goes and ruins any goodwill I had. Putting aside that spectacular fiery crash of a climax this was a series I loved, even if it turns out its end is more of a lead-in to a "Secret Wars" mini-series David is writing set in--you guessed it--2099. The Series Overall: 4.5 out of 5 stars. The Conclusions of the 20th issue: 1 out of 5 stars. A series can easily start strong and end poorly, or on the other hand start weakly and end amazingly. There are of course comics that can maintain their quality all the way through their run and other series that are just a mess from the word, "Go." With all these variables for the beginning and end--along with everything that makes up a series in-between--it is always interesting to see what we end-up with. "Gotham by Midnight" has started as a great comic and I hope it maintains its level of quality, and "All-New X-Factor" was a great series but found itself severely hampered by an inability to, actually give us a satisfying conclusion. Beginning and ends, they can be interesting, wouldn't you agree?